Journey to an fantastical forest where fairies and magic reign in A Midsummer Night's Dream, Shakespeare's most enchanting comedy. between the fairy king and queen. certainly does not run smooth. Everyone loves Edward Bloom's larger-than-life stories. 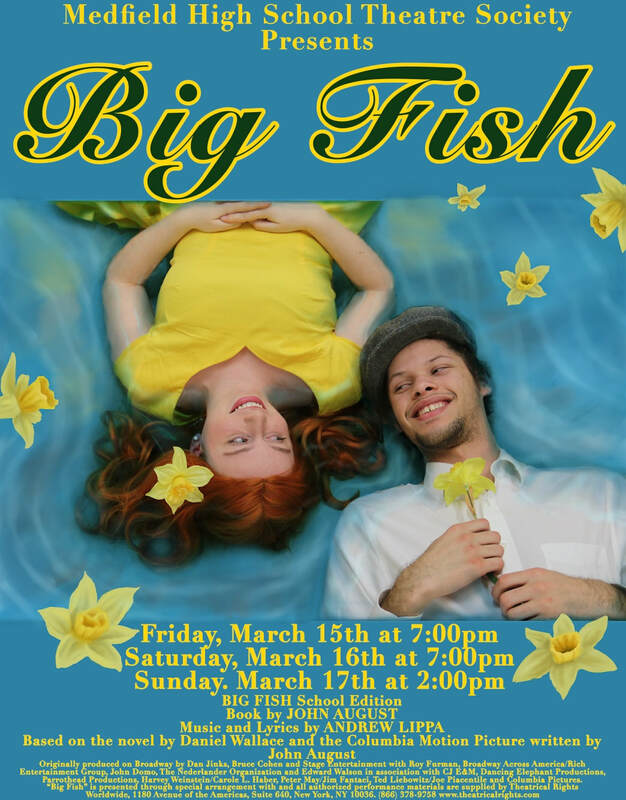 ​Big Fish is Will's story: the tale of a son coming to terms with his father's impending death while awaiting the arrival his first child. as he reflects on - and embellishes upon - a life well lived. of all families and what it means to live, love, and grow together. by Medfield High School seniors. MAD is sure to entertain. and the MHS Theatre Society. ​on May 4th this year.